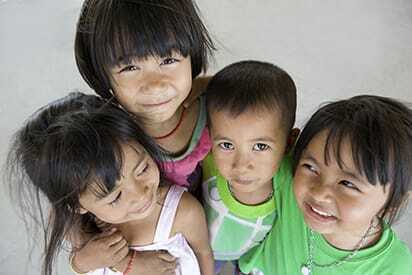 Global health is an important component of general pediatrics residency training. Geopolitical boundaries do not circumscribe health issues and nowhere is this more obvious than in Los Angeles. At Children’s Hospital Los Angeles (CHLA), we serve immigrant and migrant families who cannot be separated from the diseases and social determinants of health that they bring from their native countries. In many ways, each day in the wards or clinics is a class in global health. However, global health is a discipline unto itself. The Global Health Track offers a unique opportunity for residents to work on the front lines of global pediatric clinical care. The Division of Infectious Diseases, with combined efforts by General Pediatrics, has established partnerships with local and international institutions and faculty to meet resident needs and interests. Projects can be research, educational or intervention-focused in scope. Residents will work with a CHLA or USC faculty mentor to plan the rotation and develop goals and expectations. Residents are encouraged to partner with faculty and non-governmental organizations who are already doing work in the country. A minimum of one clinical or research rotation internationally during the PL-2 or PL-3 year is required. Residents are required to present an abstract at the annual Saban Research Institute Poster Session. Residents are strongly encouraged to submit abstracts to major conferences and write a manuscript for publication. The Global Health Track has established collaborations with various sites in Asia, Africa and Central America. Residents can participate in a clinical or research elective outside the United States during their second or third year of residency. International rotations are completed in one-month blocks. Below are just a few examples of the collaborations we offer. Residents in the Global Health Track are required to complete a longitudinal research project as part of their international rotation. For the best longitudinal experience, residents are encouraged to return to the same international site two to three times during their residency training. Residents will also receive funding to assist with rotation expenses such as travel and project supplies. For residents not in the Global Health Track, assistance is provided to help with arranging an international elective rotation. Funding is available on a competitive basis for residents whose projects serve the international community. Potential rotation projects vary in size and scope, but may include local needs assessments, quality improvement, epidemiology, health services or environmental health assessments. To receive funding, you must complete a short application describing the dates and location of the placement, including project/research goals, on-site mentor, clinical duties and hours. Residents who receive funding will be asked to present a short talk or PowerPoint presentation about their experience during the rotation upon return. The post-rotation talk would most likely be given as part of a noon conference. Larger and more successful projects may have the opportunity to present at Grand Rounds or other academic meetings. 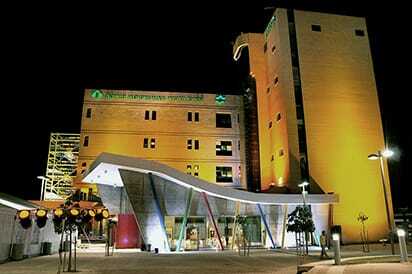 The Saban Pediatric Center at the Soroka University Medical Center is located in the southern region of Israel. Established in 2008, the medical center is responsible for the care of over 400,000 pediatric patients, providing quality care in a holistic and familial environment. The Soroka University Medical Center is also in a partnership with the Ben Gurion University Medical School. The Saban family has been generous supporters of Children’s Hospital Los Angeles and has also been deeply involved in building a children’s hospital at the Soroka University Medical Center. This rotation is fully funded by the Saban Family Foundation, and is available for a one-month placement. For more information, read the memorandum. The National Center for Maternal and Child Health has opportunities to engage in hands-on child health capacity building and research in Ulaanbaatar and the countryside in Mongolia. Work together with young Mongolian faculty and residents based at the hospital. As the national flagship hospital for women’s and children’s health, this rotation provides all levels of child health activity and maximum flexibility in rotation duration. Hospital del Niño is a 490-bed multi-specialty pediatric referral center, and the main hospital for children in Panama. Four additional buildings have been added to the hospital’s main structure since first opening in 1924, allowing for more services to be provided. 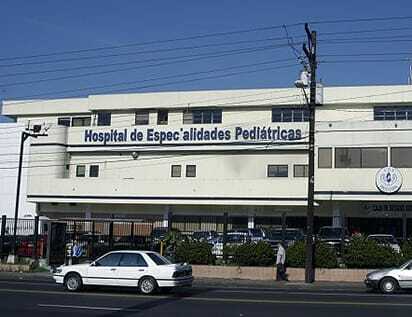 The hospital also serves as a Telemedicine Clinic, providing intra-country video connection between various hospitals, in addition to overseas connection with Children’s Hospital Los Angeles (CHLA) to increase care opportunities for patients and expand educational services. This is possible through a partnership with the Lopez Family Foundation. Hospital de Especialidades Pediátricas is a 210-bed multi-specialty children’s hospital located in Panama City. This hospital belongs to the Social Security System and serves as a secondary referral center for complex pediatric cases in the country. The Lopez Family Foundation has established a tele-education center within the hospital that allows the medical staff, including specialists, attendings, residents and interns, to participate in keynote lectures and case presentations given by residents and prominent faculty from CHLA and other major pediatric hospitals in Panama. This hospital can provide a great clinical rotation experience to residents due to its pediatric specialty focus and the variety of complex cases coming from throughout the country. 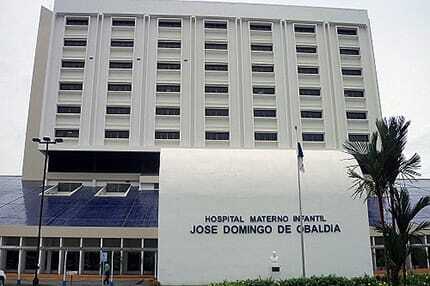 Hospital Materno Infantíl Jose Domingo de Obaldía (Hospital Obaldía) is a 420-bed regional women’s and children’s hospital. The patients served are mostly indigenous children with advanced diseases superimposed upon malnutrition. The general inpatient ward consists of 110 beds for pediatric patients. The hospital provides a full range of specialty services, as well as videophone capabilities through the Telemedicine Clinic provided by the Lopez Family Foundation Telemedicine Program. The Lopez Family Foundation International Telemedicine Program is a “tele-education” network that allows rural health facilities to connect to regional and national children’s hospitals in Panama, and to major U.S. children’s hospitals such as CHLA. The purpose of this collaboration is to use telemedicine as a tool to improve access to health care for children, enhance the quality and efficiency of care, provide critical consulting services on complex cases across a wide variety of subspecialties, and increase overall clinical collaboration efforts between institutions. Residents participating in an international rotation in Panama have the opportunity to present complex cases using innovative videophone technology. At CHLA, faculty from various subspecialties and pediatric residents participate in the case discussions via videoconference and provide their expert opinions. 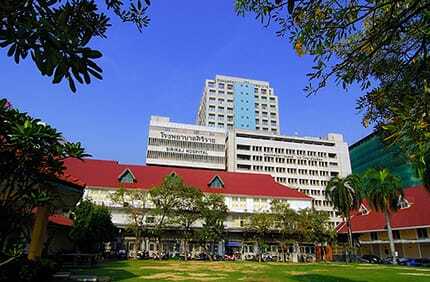 The Faculty of Medicine, Chulalongkorn University is the leading medical school in Thailand, with its emphasis on self-education under supervision of faculty members. The school works closely with King Chulalongkorn Memorial Hospital, a 1,500-bed hospital that staffs about 400 physicians and more than 350 residents. The hospital sees more than 970,000 outpatient visits and 41,000 inpatient admissions a year. Siriraj Hospital is the largest tertiary and quaternary-care in Thailand, with 2,200 hospital beds, and more than 2,800,000 outpatient visits and 80,000 inpatient admissions each year. It is also the country’s largest teaching medical center, comprising of 80 buildings, and 25 departments and various specialized centers. 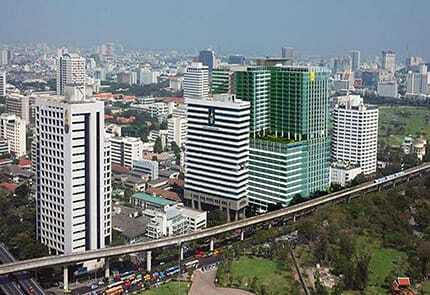 The hospital is administered by Mahidol University, as part of the Faculty of Medicine Siriraj Hospital medical school. 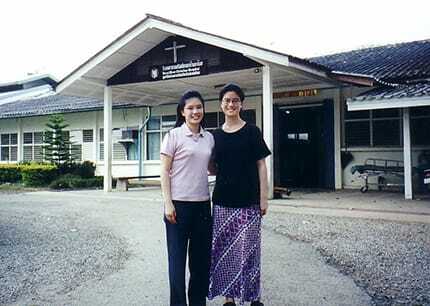 The Kwai River Christian Hospital (KRCH) is a nonprofit, 20-bed (plus 30-mat) rural hospital located near the mountainous Thai-Burma border, 16km from the town of Sangklaburi, in Kanchanburi province, Western Thailand. The hospital runs busy outpatient and inpatient departments, in addition to a public health unit, which treats each patient as an individual without bias towards their religion, nationality, race, gender, or wealth. The hospital provides care for a population of Thai, Karen, Mon and Burmese people, including a great number of displaced persons, refugees, permanent migrants and transient migrant workers of Burma, and residents of a large refugee camp nearby. Mulago National Referral Hospital (Mulago Hospital) is a national referral hospital in Kampala, and the largest state-owned hospital with 1,500 beds. The hospital serves an average of 700,000 outpatients and 140,000 outpatients per year. 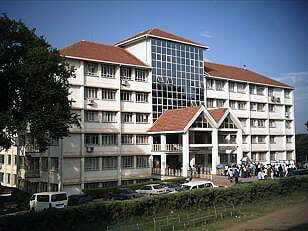 It is the teaching hospital of Makerere University College of Health Sciences, and the largest and oldest training institution for most physicians and other health professionals in Uganda. 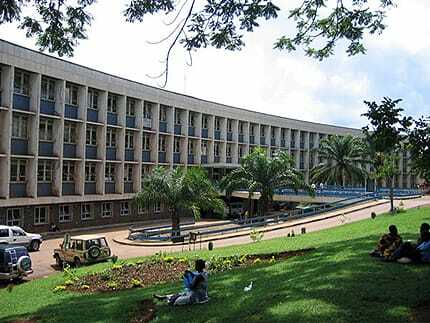 Makerere University Hospital is a private hospital that serves the University of Makerere community, comprising of various medical units available to staff and students. The hospital offers curative and preventive services, dental services, as well as a maternal child health and family planning clinic. Mpigi Health Center IV is the largest health center in the semi-rural district of Mpigi, located about 40-km southwest of the capitol of Kampala. The health center consists of an inpatient ward for adult and pediatric patients, a labor & delivery ward, an outpatient facility, an HIV clinic, and laboratory facilities. All other health centers in Mpigi may refer patients to Health Center IV, as it has physicians on-site, better laboratory facilities, and a "theater" capable of performing Caesarean sections, appendectomies, and other minor surgical procedures. In February 2017 I traveled to Malawi. I visited the same rural village in Mtunthama that I had visited previously in medical school at Tufts University. During medical school, my walk back from the Malawian clinic every night included a visit to the local orphanage (All Saints Mtunthama Anglican Orphanage, AMAO). I fell hard for the culture, medicine and children. Through CHLA’s global health program, I was able to create a project with the support of various mentors—both at CHLA, across the country and abroad. I learned how to work through an IRB, plan project details with a statistician and create an intervention from the ground up. Prior to travel, the orphanage caregivers and local clinicians documented the number of children from AMAO with illnesses—including diarrhea, pneumonia and malaria. During my trip, I taught the caregivers about hand washing (based on WHO recommendations) and taught them how to teach. I wanted to create a project that was important and sustainable. Over a week period, the caregivers taught the children at the orphanage. And by the end of the trip, hundreds more were affected. Before traveling from the U.S., I tried to anticipate everything that could happen. Of course, I ended up with extra copies of quizzes, extra pens and papers. I, however, did not anticipate how quickly the project would capture the surrounding community’s attention. At the end of teaching one day, the eldest boys at AMAO asked, “What can we do next?” Unexpectedly, I taught those guys how to teach. These underserved, vulnerable children were then asked to teach the community at the church service the following Sunday and these, now leaders, taught hundreds. The local school headmaster also invited the same group to teach at the local school to hundreds more. The experience was better than I could have ever imagined. Continued research is going on to capture the incidence of illness post-intervention. And of course, I’m trying to figure out where to spread the project next. As we looked out the airplane window, we could see green islands scattered across a blue ocean background like painting in which the artist chose to use every shade of green and blue possible to create this work of art. We were on our way to the Philippines to meet with representatives from the government and NGOs in order to work together to address the needs of exploited children in the region. We did not know what to expect, but we were excited to get started! The days that followed were filled with meetings and interviews, learning about the systems in place to provide protection and rehabilitation to children who had been victims of exploitation. We were impressed with the enthusiasm with which the individuals we met with approached their work. We were privileged to see the inner workings at the intersection of government policy, advocacy, and non-profits working toward a common goal. We were inspired by the possibility of partnering with these passionate individuals and work together with them to provide for the needs of the children they serve. This is only the beginning. We are planning to return very soon and continue to build on this partnership as we together seek to better meet the needs of this vulnerable population. We have much to learn, but we are grateful for a supportive global health program and mentorship as we navigate this process. We are hopeful that this partnership will contribute to the resilience of the children we serve. In April 2015, I had the opportunity to study at King Chulalongkorn Memorial Hospital, a large academic university hospital located in the heart of Bangkok with easy access to all parts of the city via the BTS Skytrain and taxi. I worked with the Pediatric Infectious Disease department primarily, but I also had the opportunity to work with physicians in the Divisions of Pediatric Intensive Care, Hematology/Oncology, Genetics, and General Pediatrics. I followed the resident’s weekly schedule, attending morning report/case conferences, rounds, consultations, specialty and general pediatric clinics. Lectures were done in both Thai/English and the medical staff/residents were very accommodating in presenting their patients in English when I was there. I had many first-hand encounters with patients with confirmed and suspected tropical and regional endemic diseases, such as tuberculosis, meliodosis, dengue fever, typhus, HIV and pneumocystis. I shared my experiences as a resident physician trained in the United States and compared the differences with the Thai medical system in the areas of antibiotic stewardship, public health, and general medical training practices. I also had the unique opportunity to work with HIV-NAT, an organization affiliated with the Thai Red Cross, as a weekend camp volunteer for youth affected by HIV-AIDS. It was a heartwarming experience as I was able to be an active participant in group activities despite language and cultural differences. During my time, I also had the opportunity to meet and closely work with the pediatric residents and attendings and have made lasting friendships and have expanded my professional network. I had the time to explore the various regions of Thailand on the weekends, became immersed in Thai culture through my experiences at the hospital, dormitory, and surrounding community, and greatly enjoyed Thailand’s great cuisine be it in the gigantic shopping mall food courts or down by the river markets. A favorite experience of mine was participating in Songkran, the Thai New Year Water Festival, with the residents in the busy streets of Silom. I had a wonderful month, and I hope that more residents will be able to experience Thailand first-hand. Despite the short distance between Mpigi and Kampala, the differences are vast. Mpigi town is the center of the district and consists of one main road lined with small stores and stalls as well as district offices. There are three small restaurants in town where I ate lunch daily. The menu is limited to a few typical Ugandan dishes such as matooke (boiled plaintain), rice, pumpkin, cabbage, beans, groundnut, and some protein source (fish, chicken, beef). Electricity is fickle, usually functioning, but shutting off with the slightest change in climate and returning unexpectedly minutes or days later. Water is also a commodity to be valued, as the town may go days without pumped water from the district headquarter. There are no foreign aid or NGOs functioning in the town, thus the people are invariably curious to see foreigners living in the area. Throughout the day people will want to know who you are and what you are doing there; children will yell "Muzungu" (white person) in delight even if you are not white. The neighborhood in which I stayed was high on the hills above the hospital and overlooking the town. I did a homestay with a young woman, who had a flat within an enclosed compound. Although it was a steep climb at the end of a long day, it was well worth it. I had my own bedroom with a closet, and a door that locked (essential!! ), as well as a small plastic desk and chair. I shared a bathroom that had a flush toilet and portable showerhead, though no hot water. Every other toilet facility I saw was a pit latrine (at best). And I much prefer hot water, so I would boil water daily and do bucket showers instead. Cooking took place over a two-burner cooktop attached to a gas tank - no electricity required! The outdoor area of the compound was a nice place to socialize with neighbors and better still as a private place in which to wash and hang dry my clothes, which was a necessary daily occurrence. My daily work consisted of going to the hospital around 9am for inpatient rounds. I typically participated in both adult and pediatric rounds. Rounds were an interesting event; they never took place at the same time daily and were led by a different clinician daily. Given the poor medical documentation, histories were frequently repeated. As nearly zero vital signs were documented (or taken! ), I would often insist on doing them during rounds. The constraint of resources typically prevented ideal medical care from being administered, and there were several instances in which I disagreed with the plan put in place by another clinician. Several of our patients were referred to the National Referral Hospital in Kampala given the lack of resources and severity of illness of the patients. After wards, I participated in outpatient clinic and/or administer my surveys. I needed a translator for the completion of my surveys, who also recruited participants. He and I would also go on home visits to see pediatric patients who were recently discharged, and to observe their home environments as part of my research into environmental risk factors for diarrheal illness. The vast majority of these patients lived in more rural areas, requiring transportation to get to town and to the health center. They typically lived in one or two room brick/wooden houses where children did not often sleep on mattresses and there may or may not be mosquito nets available. Cooking was done outdoors in a single pot over a small charcoal burner. Toilet facilities were separate from living facilities and were usually pit latrines (i.e. squatting to urinate/defecate in an opening amidst a concrete slab). Water was obtained from as far as 90 minutes away from various sources such as boreholes, protected wells, or springs. I did not meet anyone who had piped water into [his or her] dwelling. Home visits were by far my favorite experiences of the trip. It was a humbling privilege to be invited into a family's home life, with complete trust and gratitude on their part for a doctor visiting them at home. After my most memorable home visit, my translator and I were starting the long walk back to town, when we heard one of the children yelling and running toward us. He caught up with us and subsequently presented me with a sugar cane a foot taller than myself. I did not want to accept it, as it was one of the family's cash crops, but I knew it to be rude to refuse. It was the sweetest gift I have ever received, pun intended. Emily and I decided not to fly from Panama City, but to take the bus to save more money. It was only $15 and 7 hours, so while it did eat up a day it was cost effective and offered us a beautiful tour of the Panamanian countryside. When we arrived, one of the residents, Ivan, met us at the front desk and showed us to our room. There is Internet here, though it is not very strong and many social media sites are blocked. The accommodations are basic but have everything you could need: bunk beds (bring your own pillow and sheets — heavy ones for the air conditioning), a private bath with hot water from 7 a.m.-7 p.m. roughly, a free laundry room down the hallway and a kitchen with a microwave but no stove. Our meals are provided for from the cafeteria downstairs, but there is also a supermarket/price club/mall right down the street within a 15-minute walk. On our first day we got a tour of the hospital. It is 9 floors and each has a different pediatric subspecialty. Emily and I were surprised it was only a women's and children's hospital. [We] were expecting adult medicine as well, but it is all geared towards children. The chief resident, Waldo, took us on a tour the first day and he was excellent at orienting us. Really all of the residents have been nothing but welcoming and nice, taking time to show us shortcuts and cool cases. We have so far been working in the emergency department and with the school-aged children. Here, the general pediatrics wards are divided by age. We have seen pellagra, snake bites with devastating orthopedic consequences, TAPVR, TB, cases of abuse, histocytosis with pulmonary emphysema, horrible hydrocephalus in an infant and many other things, and we haven't even been on every floor! I myself am excited for the NICU. Of note, if you don't speak Spanish it would be difficult to rotate here [as] all of the educational lectures are in Spanish and the residents don't really speak English. Emily and I both speak some Spanish, so we have been doing well. In November of 2012, we traveled to Bangkok Thailand where we studied at Siriraj Hospital, a large academic university hospital. We worked with the Pediatric Infectious Disease department and had a wonderful experience. We followed their weekly schedule, which included morning report, ward rounds, consultations, HIV/TB/ID clinics, journal clubs and chart reviews. We broadened our knowledge of tropical diseases and regional endemics. In addition, we rounded with the hospitals Infection Control team to get overall exposure to the hospitals approach to handling disease spread. We worked in collaboration with a hospital social worker and were able to spend time with the HIV pediatric patients and their families outside of the hospital and take part in their support group. We were warmly welcomed by the entire team and worked closely with the pediatric residents, ID fellows and ID attendings. We established an international professional network and made long lasting friendships. We not only learned about healthcare in Thailand, we also were immersed and absorbed in Thai Culture. To become a partner, collaborator or mentor, please contact Pia Pannaraj, MD by calling (323) 361-2509 or via e-mail. For more information on global health, visit the USC Global Health website. The Global Health Track is also proud to host a regular guest speaker series, featuring talks from specialists on a variety of relevant topics and issues. Click here to view our online lecture database!